It’s a revolutionary treatment. It essentially harnesses and increases the body’s own ability to heal tissue and create a more youthful skin. The technique is simple, quick and safe. It involves removing a blood sample, spinning it to concentrate the plasma’s healing and collagen producing factors and then injecting this back under the skin. A new approach, appealing to clients seeking a more natural method to facial rejuvenation, is regeneration with your own cells and more specifically, autologous platelet-rich plasma (PRP). Platelet-Rich Plasma (PRP) has been utilized in aesthetic medicine to rejuvenate and slow down the aging process and face (2006). This refers to mesenchymal and epithelial rejuvenation by application of the persons own enriched autologous plasma. Recently, ACR-PRP has been pioneered for facial rejuvenation in select patients with chronological aging, and solar damage. Regeneration or anti-aging by biological stimulation of resident stem cells by growth factors. Science supports the use of PRP for the augmentation and regeneration of hard and soft tissues. PRP is the source of concentrated platelet content present in blood. Apart from assisting blood clotting, platelets also release growth factors that assist the human body to repair itself by stimulating cells to regenerate new tissue. 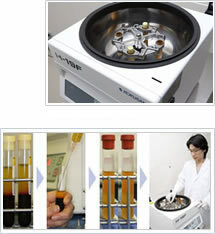 Today, platelet rich plasma can easily be separated from blood, through a process of centrifugation. Using your enriched plasma permits the body to heal faster and more efficiently. Because your plasma (autologous) is used, there is no danger of disease transmission, anaphylaxis or neoplasia. It is well known that platelets have many functions. Platelets contain important growth factors that, when secreted, are responsible for: increasing collagen production, recruiting other cells to the site of injury, initiating vascular in – growth, inducing cell differentiation, bone – mineralization, extra cellular matrix formation, Non – Allergenic. Case studies reported have demonstrated consistent rejuvenation of facial aging, including wrinkling in persons with modest grades of photo- or chronological aging. Patient selection is important and skin diseases have to be excluded. Improvement of skin texture and tone can be expected, these features are noticeable within 3 weeks, and the process can be enhanced by addition of appropriate Cosmeceutical. It is recomended to do 2 sessions per year. Benefits include non-allergenic properties and ease of administration. Approx 45 mins to 1 hour per two test tubes. Severe: A low morbidity procedure. Almost no down time. No need for hospitalization. Anaphylaxis does not occur. In rare cases, skin cellulitis may occur which can be treated with antibiotics and cold compresses. Occasionally hospitalization is needed in these cases. Secondary skin infection is a rare complication. Persons with skin disease (SLE, porphyria, allergies), cancer, chemotherapy, severe metabolic and systemic disorders, and abnormal platelet function (i.e. blood disorders). Anti-coagulation therapy and underlying sepsis excludes the use of PRP.